Expect excitement—plus many happy returns and some exciting departures—when the Ann Arbor Symphony Orchestra opens its 2015-16 season with a Beethoven Festival at Hill Auditorium September 19 at 8pm. Beethoven plunges deep and daring in the A2SO program: the Symphony No. 3 in E-flat major, Op. 55, “Eroica;” the Piano Concerto No. 3 in C minor, Op. 37; and the Fantasia for Piano, Chorus and Orchestra, Op. 80, “Choral Fantasy.” It’s a blockbuster lineup. And if this concert spotlights a titan among composers, it also brings back to Ann Arbor a giant among pianists—Garrick Ohlsson. Garrick Ohlsson: international star, local favorite. Ohlsson, 67, is an international star who garnered a big local fan base with his two-year, six-concert traversal of Chopin’s complete solo piano works, played in Ann Arbor under University Musical Society auspices in 1995-96. He has also been a frequent visitor to Detroit-area music venues. “I’m excited to be back,” Ohlsson said in a late-August phone call from Melbourne, Australia, where he was on tour; he was eager to hear how Ann Arbor had changed since he was last in town in 2002. Last season, to headline its first Beethoven Festival, the A2SO snared superstar pianist Andre Watts (for a thrilling “Emperor Concerto”). It was a declaration, really, of the stature of this top-notch regional orchestra. The 2 Rs—repertoire and reputation—figured into Ohlsson’s decision to accept the orchestra’s invitation. With the Grammy-winning UMS Choral Union on hand, the impractical is practical. The group’s participation is another happy return, and a departure, too. The chorus teams up regularly with the A2SO, notably for annual “Messiah” performances. Their new conductor, Scott Hanoian, has prepared the group for Beethoven. All three works on the program are landmarks. In the “Eroica” symphony—premiered in 1805—Beethoven leaves behind the strictures of earlier models, and even of his own first two essays in this genre. He sets course for unexplored lands, his vessel larger and grander than before. The proportions are new; the elements surprising; the vistas heroic and unexpected. Innovation is equal in the third piano concerto, which premiered in 1805. If it is an intimate work among the five Beethoven piano concertos, it’s also “a prototype of one of Beethoven’s favorite devices of form: the journey from darkness to light,” Ohlsson said. Meanwhile, the concerto’s orchestral opening “is symphonic as none before,” he added, its argument laid out “complexly and completely.” And then there’s the matter of the soloist’s entrance. Yet, though we may think of Beethoven perennially shaking his fist at the heavens, he also wrote an awful lot of gentle music, Ohlsson pointed out—the “sublime” slow movement of this concerto included. “It’s Beethoven not in a hurry and not structural,” Ohlsson said, and it keeps the audience on tenterhooks by sheer rhetoric, sheer noise and arresting modulations. This article was written for IXITI.com: Your source to find arts and cultural events and things to do in Detroit, Ann Arbor and beyond. 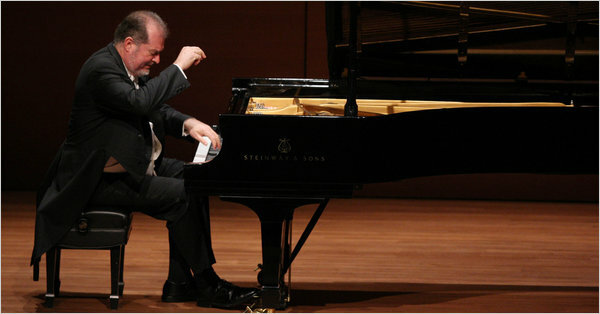 Purchase tickets from $17-$73 for the Beethoven Festival with Garrick Ohlsson at a2so.com or by phone, (734) 994-4801. There is a free pre-concert lecture at 7pm for ticket holders, featuring Music Director Arie Lipsky and soloist Garrick Ohlsson.